I wrote a “woo-woo” story long before I ever heard the term--perhaps before it existed? My Regency editor at Walker Books asked for a short story for a Halloween anthology. 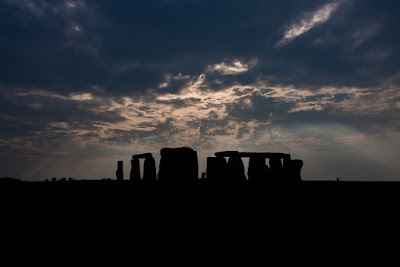 My tale, “Superstition,”* features a young man who sneers at ghosts and is dared to go to Stonehenge at midnight on Halloween. His friends dress up in sheets to scare him, but before they arrive on the scene, he has experienced the “real” ghosts of Druids performing a terrifying ritual. My only other fictional ghost was in The Actress and the Rake. I set strict rules for him. Every time he made himself visible, passed through a wall, or in some way affected the physical world, he lost energy, until in the end he faded away. He was able to appear to only one other character, his lawyer. His purpose in death--so to speak--was to thwart his granddaughter and his godson, not, as you might expect, by keeping them apart but by throwing them together so that they failed to observe the terms of his will. He was sure they would, and he was determined to be right. The book being a romance, everything has to end up happily ever after, so in the end he realises the error of his ways. He helps the hero and heroine overcome the wiles of his greedy relatives and, his substance exhausted by the effort, ceases to exist. I also wrote three magical stories*, retellings of fairytales, set in a Regency world. In each case I tried to make the magic consistent within the story, abiding by its own rules as well as those of the Regency. For instance, the Djinn in “Aladdin’s Lamp” acts according to a sort of Arab version of China, as in the original One Thousand and One Nights. 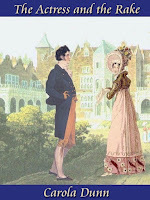 Unless given very precise orders, he gets everything wrong, until he becomes acquainted with the customs of Regency England. I have never made use of the supernatural in a mystery, and I don’t read woo-woo mysteries. Introducing the inexplicable seems to me to be cheating in a form of fiction that should rely on investigation, deduction, intuition, and understanding of character. Even the most unreal of invented realities needs to have rules. 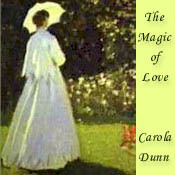 *The ghost story and the three regency fairytales all appear in The Magic of Love. Whoa, whoa, Carola, woo-woo? That's a new term for Homey. My excuse for always being behind the curve with slang is that I write historicals, so I have to know the slang of the 1920s and 1970s (and used to be Regency slang) and as my books are mostly set in the UK, English not American slang.That's quite enough for one aging head to hold!! A few weeks? Lucky you! I don't mind a supernatural mystery as long as I know that's what I'm getting. I read one mystery where they threw in a supernatural element to solve the murder at the end. It was annoying. A story should either include magic and rules of magic or not from the beginning. 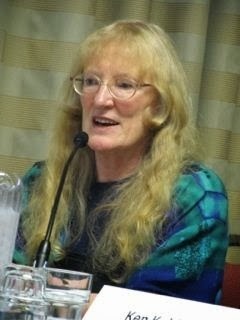 Developing rules of magic is critical for creating supernatural story worlds. I love supernatural ('woo-woo' stories as you would call them.). But I find myself getting bored with the usual tropes. However, "Superstition" sounds very intriguing.